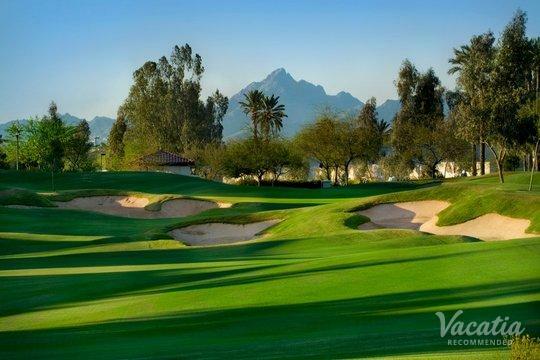 Known for its year-round sunshine and beautiful desert landscapes, Phoenix is a popular destination for those seeking warmth, sunshine, and great outdoor activities. 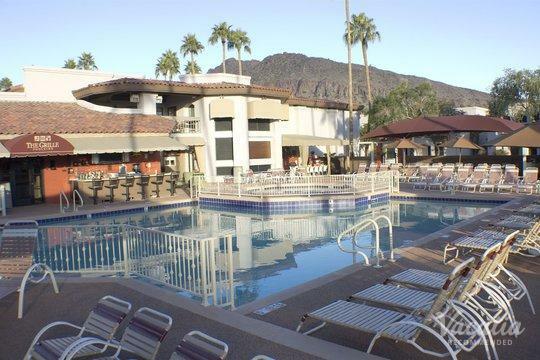 Especially popular in the winter months, when countless people in northern climates look to escape the bitter cold, Phoenix and Scottsdale are sun-kissed havens that provide countless things to do and see. 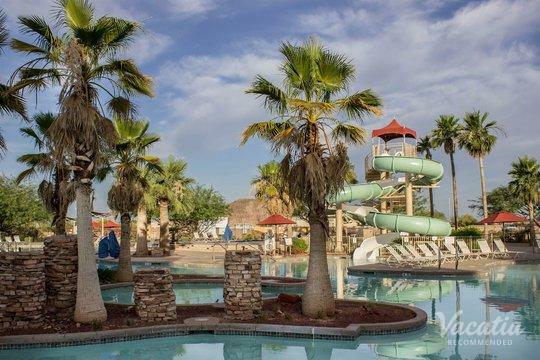 From its great dining and nightlife to its abundance of outdoor activities, The Valley of the Sun (as the area of Phoenix and Scottsdale has been nicknamed) is a terrific destination for all types of travelers, from couples to families. 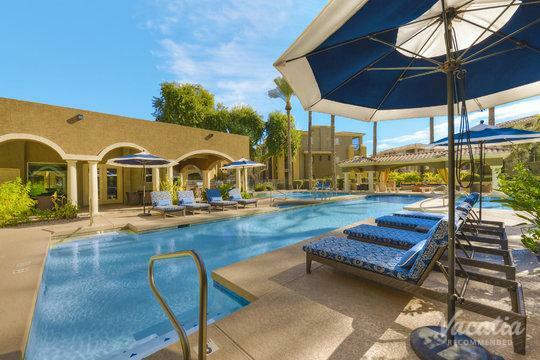 No matter what you have planned for your time in Phoenix and Scottsdale, you should rely on Vacatia to take the guesswork out of booking your accommodations. 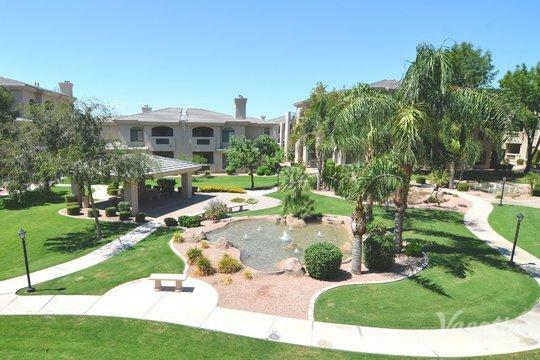 Vacatia can find you a perfect vacation rental in The Valley of the Sun, and if you want to stay at one of the best Phoenix resorts with kitchen and living areas, look no further than Vacatia. Each one of Vacatia's properties features a fully equipped kitchen, so you'll have convenience at your fingertips during your Arizona getaway. There's something for everyone in Phoenix and Scottsdale, from upscale shopping and luxurious spas to fantastic hikes and great restaurants. 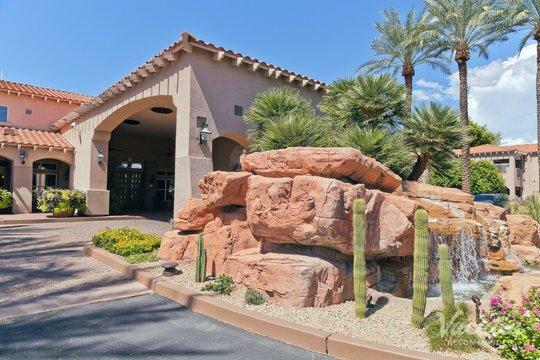 No matter how you choose to spend your days during your Arizona vacation, you should let Vacatia elevate the quality of your stay by helping you find a great vacation rental. 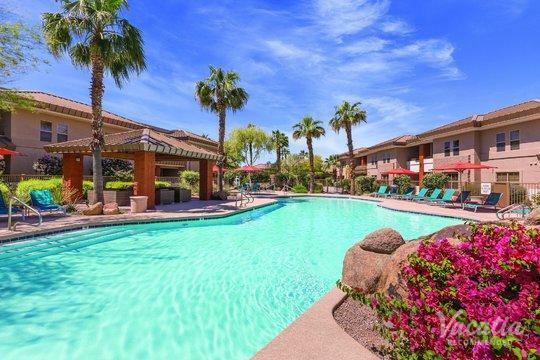 Instead of spending hours searching through Phoenix hotels with kitchen areas, you should rely on Vacatia to quickly and efficiently curate a great selection of vacation rentals in Phoenix and Scottsdale for you. 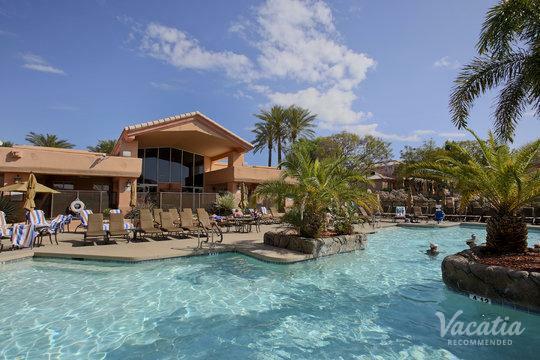 Rather than staying at one of the Scottsdale hotels with kitchen, you could stay in a spacious, comfortable vacation rental that will become your beloved Arizona home away from home when you book your accommodations through Vacatia. Considered "resort residences," Vacatia's rental properties provide added living spaces and comforts, such as a fully equipped kitchen, on top of the desirable services of a resort. 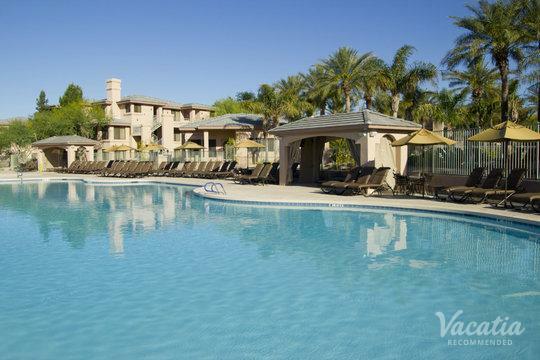 So if you want to stay at one of the best Scottsdale resorts with kitchen and living areas, look no further than Vacatia. Arizona is known for its long, sunny days and its picturesque natural landscapes, such as the majestic Grand Canyon. 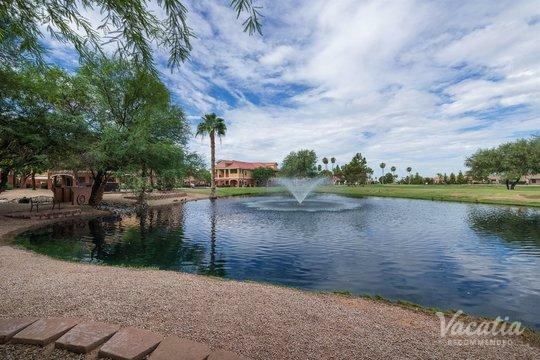 Phoenix and Scottsdale are both popular destinations in the Grand Canyon State, and each one of these cities is home to great shopping and dining, great golfing, and endless outdoor activities. 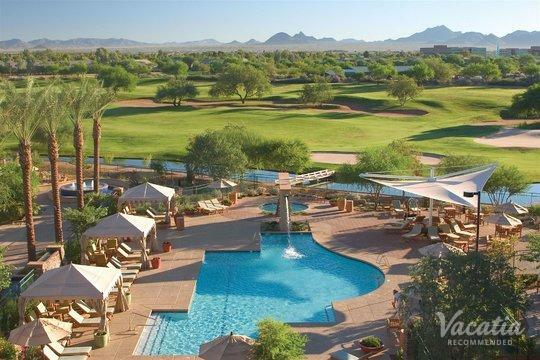 Whether you plan to spend your time in Arizona on the tennis courts and golf courses or at the spas and the restaurants, you're sure to have an unforgettable vacation in Phoenix or Scottsdale. 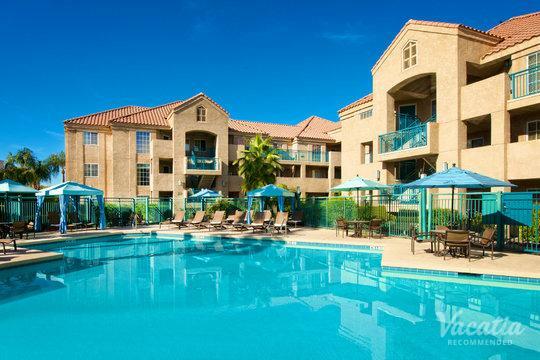 You could make your Arizona vacation even more incredible by staying at one of Vacatia's vacation rentals. 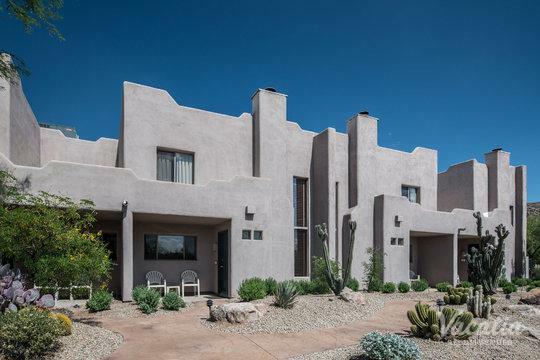 When you have a quality vacation rental that you consider your home away from home, you'll be able to enjoy every moment of your time in the beautiful cities of Phoenix and Scottsdale.